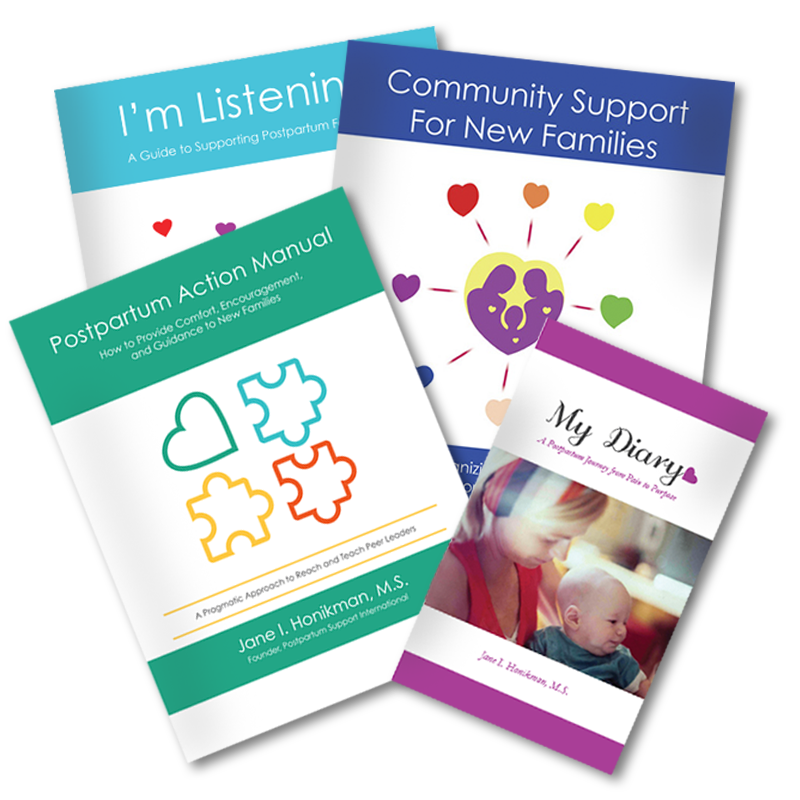 PEP (Postpartum Education for Parents) is a nonprofit organization which provides assistance to families in the weeks and months following the arrival of a baby. PEP’s services include an infant care class called Baby Basics, parent discussion groups and a 24 hour, 7 day per week Warm Line. These free services are staffed by parent volunteers from the community of Santa Barbara, California. When PEP was started in 1977, the founders knew they were meeting a local need, but they never dreamed that one day parents would be calling from all parts of the nation to receive emotional support on the PEP Warm Line. During the month of March 1980, the number of long distance telephone calls received by the PEP Warm Line increased dramatically. Calls came from mothers-to-be, parents of newborns, infants and toddlers from all regions of the USA and Canada. In each instance, the caller had read the telephone number printed in an article in Parents’ magazine describing the Warm Line service. The article explained that this free, non-professional emotional support line for parents is operated by parent volunteers who are trained, experienced, caring and willing to listen and share ideas with other parents. There was a common denominator to these calls. These parents needed to talk, their telephone was close at hand and it was easy to dial the Warm Line number. Instead of running next door to their neighbor, phoning their pediatrician, or a relative, they had reached out across the country to strangers. It appears that the telephone is a critical link in fighting several types of isolation in our society today; physical, emotional, and intellectual. The following stories are examples of the types of Warm Line calls which PEP receives. As you read them, picture yourself the parent volunteer listening carefully to the caller. How would you respond? Sherri has been stuck inside her apartment during the long winter months with her son age 13 months and is finding it difficult to get outside to meet other mothers with small children. It seems he is still taking two naps a day and Sherri is feeling lonely, bored and disappointed in her new role. “The days go by so slowly and he’s not growing up fast enough”, she commented, sounding depressed. How would other parents handle this situation? What could you say to support Sherri and ease her feelings and frustrations? Carol needed to discuss her 1 year old daughter’s total disregard (and disrespect, the mother ventured to add) of eating what was carefully prepared for the evening meal. “She’s not eating anything, even when I cook separate, special meat. She never likes what I prepare, throws it on the floor and I want to get so mad at her! Is she getting enough food to grow?” Carol sounded angry, very disappointed and frustrated. What suggestions would you make to assist Carol? Should she contact her pediatrician? Linda called from her hospital bed. She had been re-hospitalized when her newborn was two weeks old because of severe back pain. “I saw my baby over the weekend but she doesn’t know me. Will she ever learn to love me?” Her voice revealed a hint of despair but she sounded strong and determined to get well. What types of encouragement and ideas are available to bring the mother through this difficult time? Bob and Sue were married a short time before their son was born, prematurely, three months ago. “He’s had colic, jaundice and a hernia operation. The doctor thinks I’m too tense and that is why he cries so much. We don’t have many friends and we don’t seem to be talking to each other very much now.” Her voice cracked with emotion as she asked, “Is it my fault?” Is it her fault? How do other parents react under similar stress? What can be done to help this family? Phyllis is five months pregnant, single and living in a large city. She has decided to keep her baby but knows parenting is not going to be easy. “I want to know who I should call to get childbirth education. Is there a PEP type of support group in my city? At age 20 years, her questions and realistic expectations sound more mature than many older parents. Who should she call for support in her city? What would you suggest she do to prepare herself for parenthood? The telephone is a link to the world outside the realm of parenthood. Even though health care professionals abound and books fill shelves offering assistance, most parents never find the specific answer to that particular concern at the precise moment it is needed. By talking to someone who isn’t an expert, who is not going to judge you, but who listens attentively, a parent’s mind can be put at ease. Suddenly you don’t feel so alone and you learn that other parents experience similar feelings and circumstances. Yes, it may be a stage, you know that intellectually, but will it really ever end? When the stranger on the other end of the telephone line relates a similar story to the one you are living, it can put the immediate “crisis” into perspective. Sometimes you can laugh about it, sometimes it triggers the tears you’ve been holding back. Whatever the reaction or the results of the conversation may be, you are aware that the mystique of parenthood is fading. You discover you are normal! The hardest job in society, with the worst pay and hours, is finally receiving some direction and support and this is coming from those who have been there before you; other parents. These Warm Line calls from across the nation are speaking the minds of all parents. They are saying, “let’s talk and share, care for and support one another”. They clearly indicate the need for more local parent support systems. Long distance calls should not be necessary. A parent should be able to pick up the telephone, day or night, and receive emotional support close to home. Parent support is here to stay. We need each other, for parents’ sake and for the future of the family in America!